How do I load plastic cards in the input tray? 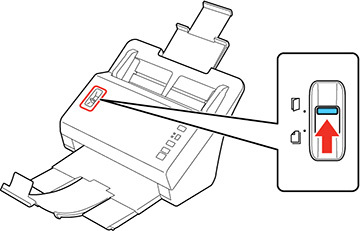 You can load plastic cards that meet the card specifications in the input tray. 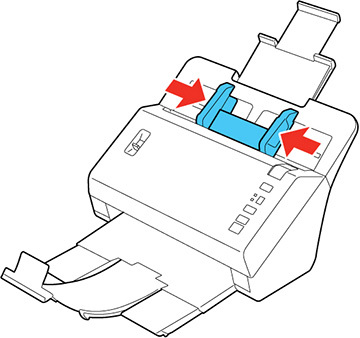 Pull up the input tray extension, extend the output tray, and flip up the stopper. Note: If you are scanning originals longer than Letter (8.5 × 11 inches [216 × 279 mm]) size, do not flip up the stopper. 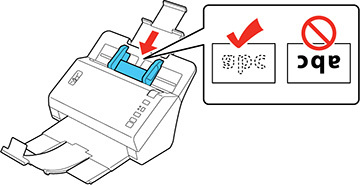 Load up to three standard plastic cards horizontally in the input tray as shown, sliding them in until they meet resistance. 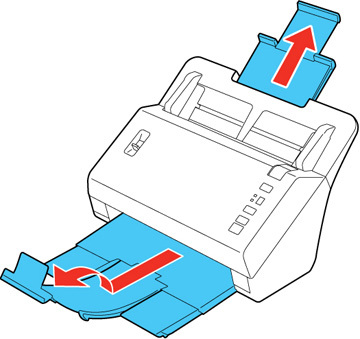 Make sure the printed side is face down with the top edge first. Note: You can load only a single embossed plastic card. Do not load plastic cards vertically. Slide the edge guides against the edges of the plastic card. 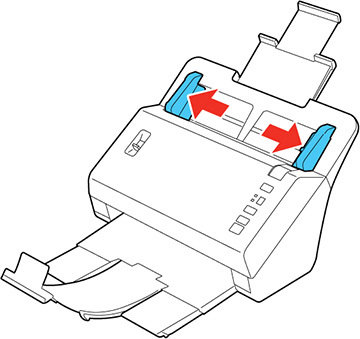 Set the page separation lever to the position shown here. 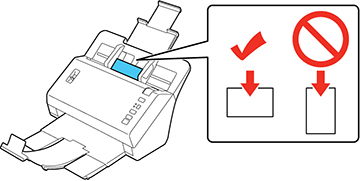 Note: To prevent paper jams, make sure to set the separation lever back to its original position when scanning standard single- or multi- page documents.